According to a study by Yoga Journal, nearly 15 million Americans practice yoga. If you are among these 15 million, you know that yoga makes you feel better—its effects are almost immediate—but you may not know why. And if you haven’t yet joined the yoga revolution, read on to discover just how beneficial this simple age-old practice can be. When practiced regularly, yoga reliably increases our sense of physical health, emotional well-being, mental clarity, and spiritual connection. The key to gaining the full benefit of your yoga session is to make sure you breathe deeply, fully, and in coordination with the movements of your limbs. Combining yoga postures with the breath benefits you at the core level of physical functioning: cellular metabolism. This is because the yogic breath delivers increased oxygen to your cells while the movements and holding of postures improves circulation, removing waste materials that impair efficiency. In addition to improving the metabolic exchange that each cell depends on for optimal functioning, the muscular stretching and rhythmic pressure caused by the breath have a profound impact on the detoxifying mechanisms of the body, including the lymph system, kidneys, lungs, skin, and elimination components of the digestive system. This explains the feeling of freshness after yoga and the light or clarity you see in people’s faces following a class. Each of the upper six chakras (the subtle energy centers of the body) is associated with an endocrine gland. These glands have long been known for their role in producing the hormones that control basic body functions. The recent revolution in neurobiology is the discovery that the physical and emotional bodies are directly regulated by a complex balance of these hormones and other chemicals that are also produced in the glands, including neurotransmitters (i.e., serotonin). Small changes in these chemicals have a significant impact—our emotional world is heavily dependent on how well our endocrine system is functioning, i.e., our hormone and neurotransmitter levels. Because yoga specifically tones the endocrine system, when we practice regularly we experience mood enhancement and an overall feeling of well-being. Each time you take a yogic breath while in a posture, you do two things: you increase blood flow and pressure on one part of the body and you decrease it on another. Think of how you would go about cleaning a dirty sponge. Don’t you hold it under the water and then repetitively squeeze it in and out? This is precisely what happens to all tissues in the body during yoga, especially the endocrine glands. This massaging, flushing, and cleansing action stimulates endocrine functions to more optimal levels. Anyone who practices yoga regularly can verify that this process is actually tangible, and that increasing levels of confidence and a more positive mental outlook are natural results. Cortisol and adrenalin are hormones that are released in the body as a result of stress. Sustained high levels of these “stress hormones” destroy healthy muscle and bone; slow down healing and normal cell regeneration; co-opt biochemicals needed to make other vital hormones; impair digestion, metabolism, and mental function; interfere with healthy endocrine function; and weaken the immune system. Sustained levels can eventually lead to a host of serious metabolic disorders, from hypertension to cardiac disease. The good news? Yoga reduces cortisol and adrenalin levels in the body by returning it to a physically stress-free state, making it less susceptible to illness and more prone to resiliency and vitality. As a result of the practice of yoga, your entire muscular system becomes stronger and more elastic, and thus less susceptible to injury. Standing and balancing postures strengthen and lengthen the big muscle groups and floor postures strengthen the muscles that support the spine and head. Flowing from one posture to the next with attention also increases coordination of the musculoskeletal system as a whole. You move more safely and easily and feel more at home in your own body. Finally, the heart, as the largest involuntary muscle of the body, greatly benefits from yogic breathing practices and from the relaxation experienced in the muscles during yoga, allowing the whole cardiopulmonary system to reset to a healthier rhythm. In addition, whenever your head is lower than your heart—in postures like standing forward bend, Downward Dog, and headstands and shoulder stands—your whole circulatory system gets a rest. The walls of every fluid-containing tube in your body gain a reprieve from the constant fight against gravity. Inversion postures also specifically target the thyroid and pituitary glands, sometimes referred to as the “master glands” because of their role in regulating metabolism and health. Neurobiologists have been studying the interaction between the body and the mind, and their findings show what yogis have been saying for thousands of years: functionally, the body and mind are inextricably bound together. The mind is a subtle body and the body is a gross mind. You can think of it like fingers in a glove; when you move your fingers, the glove moves; if you move the glove, your fingers must move also. This insight is the basis for the revolution in psychiatry over the last two decades and the reason why the standard treatment for mental disorders now consists of tinkering with the organic blood chemistry system rather than the psychological and emotional constructs; more often than not, when you go to the psychiatrist, you get a prescription, instead of a dialogue. This interweaving of body and mind also helps to explain yoga’s effectiveness. While yoga works from the inside out to improve our emotional and mental state by affecting the organic biology that conditions mood, it also works from the outside in. When you practice yoga properly, you create the conditions for becoming absorbed in the moment. The breath, the movement, the concentration, the flow, the conscious relaxation—all of these together create the possibility of entering a very powerful realm, the moment of integrated functioning. Integrated functioning occurs when what you think, what you feel, what you say, and what you do are all the same and aligned. We all experience thinking one thing, feeling another, saying a third, and then doing something else. Mostly, we are not integrated. The good news is that it is highly likely that you will experience moments of integration during a yoga practice session. The focus on the breath, coordinated movement, and deep relaxation of yoga practice specifically pulls strongly toward integrated functioning. When you fall into an integrated state at some point in your practice, you’ll notice that your entire neurobiological system resets, with fairly dramatic results. People report sudden clarity about how to move forward in a challenging situation in daily life, and spontaneous physical and emotional healings occur. My own story convinced me of this early on. In one of the first yoga classes that I ever took, I fell into a state of deep relaxation. When I came out of it, the bronchial asthma that had plagued me for my entire life had disappeared, never to return. This also helps explain why yoga is so effective with weight loss, even when the actual calories expended in the yoga practice do not account for it. Moments of integrated functioning bring you back to your natural self. Repeated familiarity with your natural self works against those stresses and habits of feeling and thinking that underpin control of diet and lifestyle choices. Though it may seem counterintuitive that a set of physical movements and breathing techniques can have an emotional effect, the regular practice of yoga postures will bring you more happiness, confidence, and mental sharpness, and these traits will continue to increase as you continue to practice. Yoga is often referred to as a spiritual discipline, and endless numbers of people report an enrichment in their inner life as a result of this practice—but how can a process of merely breathing and stretching your body generate a spiritual experience? As we’ve seen, yoga acts as an integrative practice on all levels of the organism. 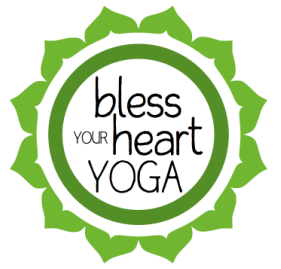 The word yoga comes from the Sanskrit word “yuj,” which means “yoke,” as in binding a team of oxen together. Thus, yoga means “union” or “yoking together.” On the most superficial level, it balances and integrates the body. You may have noticed that the left and right sides of your body are not the same, nor is the top half of the body balanced with the bottom half. One half is stronger, better coordinated, injury-free, etc. Yoga practice works on erasing these imbalances by stretching and strengthening each half equally. Just as with our physical bodies, our emotional bodies can be out of balance, uneven, turbulent. You are probably more comfortable with certain emotions more than with others—and not only the so-called “positive” ones. We often live with parts of ourselves separated off into compartments, yielding an experience of not feeling “at home” with ourselves; we feel split and conflicted much of the time. Yoga practice can interrupt these patterns of unintegrated functioning and reliably substitute experiences of natural, integrated movement and being—the experience of flow and deep relaxation. We start to reclaim parts of ourselves that before were left to exist in the shadows of our personality structures, draining energy, confidence, and flow from us as we tried to make our way through life. Still, how does balancing the halves of the body and integrating those lost parts of our inner self generate a spiritual experience? The core component of a spiritual experience is the awareness of being part of a unified whole. Religious and spiritual traditions describe this experience differently, but the common theme is always one of awareness of and connection to a larger whole. Every time you practice yoga, you have the chance to reclaim part of yourself that you don’t always have easy access to. It might be physical, mental, or emotional, but the process of integration is quickened by yoga practice. When you regularly participate in this flow of integration, you automatically sync up with the larger rhythm, like when a pendulum is placed next to another pendulum. After a while, both swing in the same cadence. Yoga practice aims to reset our physical, mental, and emotional rhythms to their natural state. We experience this resonance as a spiritual experience, and drinking often from the fountain of yoga practice can make this available to you more and more often. The inner life of the soul becomes as familiar, real, and tangible as our body, thoughts, or feelings, and with this awareness our life becomes deeply enriched. The most wonderful thing about yoga is that virtually anyone can practice it—people who are young and healthy and people in their 80s as well as those confined to wheelchairs. I once worked with a woman who had had both legs amputated, and I know a Kripalu Yoga teacher who teaches yoga to people three days after they have open-heart surgery. Don’t be intimidated by the exotic bends and twists you sometimes see adept practitioners putting their bodies in. There is a yoga practice that is right for your body and stage in life, and regular practice will bring you all the benefits yoga has to offer. Dinabandhu Sarley has been a leader in the field of spirituality and human development for more than 30 years. Kripalu’s former Chief Executive Officer, his passion is applying the principles of integrated functioning—the foundation of yoga—toward organizational growth and vitality. Dinabandhu is coauthor, with his wife, Ila, of Walking Yoga and The Essentials of Yoga.